Tales of the Black Diamond. Hard Bound. Edition of 200. Signed. 1) Dec. 1993. Fantagor Press, 8"x11", $8.95, 84 pages, Both color: glossy color on heavy stock. Guts: white. Lettering: printed. s-Richard Margopolous, a/r(1991)-Richard Corben. All reprints. "Tales of the Black Diamond"
1 pict: pg 3. a-Richard Corben (1993). B&W. 1 pict: pg 13. a-Richard Corben (1991). B&W. B&W verison of the cover of Horror in the Dark #1 (1991). 1 pict: pg 31. a-Richard Corben (1991). B&W. B&W version of the cover of Horror in the Dark #2 (1991). 1 pict: pg 47. a/r[Horror in the Dark #3 (1991)]-Richard Corben (1991). B&W. B&W verison of the cover of Horror in the Dark #3 (1991). 1 pict: pg59. a-Richard Corben (1993). B&W. 1 pict: pg 71. a-Richard Corben (1993). B&W. Tales of the Black Diamond, Prologue: "Starstone of Blood"
6 pgs: pgs 6-11. B&W. Premium appearance. 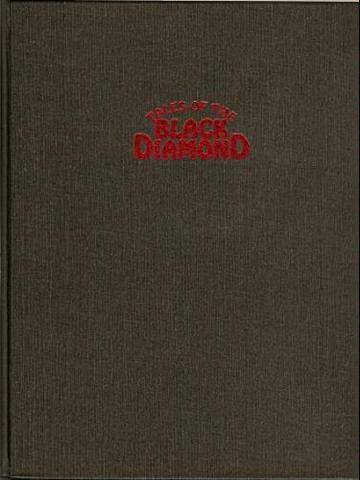 Tales of the Black Diamond, Part 1(5): "Birth of Blood"
Tales of the Black Diamond, Part 2(5): "Bath of Blood"
Tales of the Black Diamond, Part 3(5): "Crypt of Blood"
Tales of the Black Diamond, Part 4(5): "Cold of Blood"
Tales of the Black Diamond, Part 5(5): "Cartoon of Blood"
Created: 2000. Modified: March 4, 2017.